Milbank 3-Phase 4-Wire Ringless meter socket has current rating of 320-Amps and voltage rating of 600-Volt AC at 60-Hz. It features sturdy G90 galvanized steel construction and powder-coated finish for corrosion resistance and durability. It has 7/8-Inch knockout and angle bracket that offer barrel lock provision. Lever bypass 7-terminal ringless meter socket has single mechanical line and 3/8-16-Inch stud load side terminal connection. 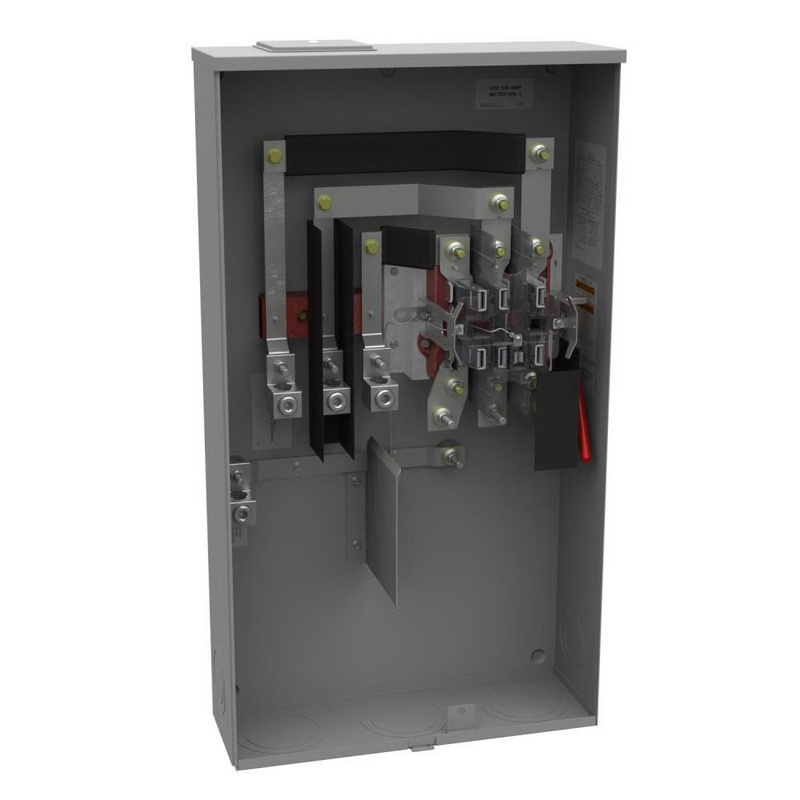 It features NEMA type 3R enclosure for added safety and strength. This 1-Position grounding stud ringless meter socket with large closing plate, has overhead/underground and side wireway cable entry. It accommodates 4-AWG-600-KCMIL, (2) 1/0-AWG-250-KCMIL line. It offers surface mounting. This ringless meter socket measures 19-Inch x 14-Inch x 4-13/16-Inch. Ringless meter socket is UL listed.